Globally, companies of all sizes are struggling to meet an ever-increasing need for broad skill sets across nearly every industry and occupation. Today, positions are going unfilled due to a significant business challenge: the talent gap. Hiring managers are faced with a major divide between applicants’ skills and the qualifications demanded by the role. In response, organizations are being forced to adjust the way they manage their human capital. 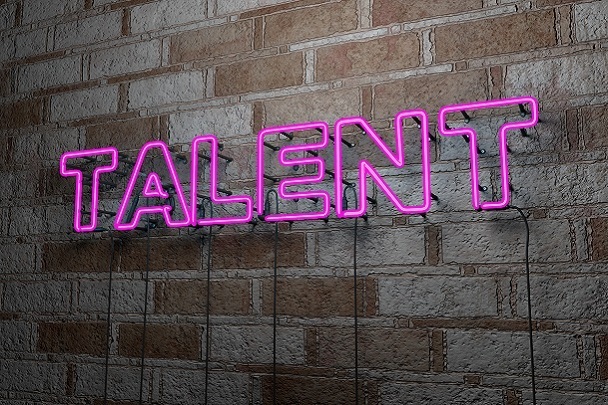 What’s driving the talent shortage? Workplaces are dynamic environments, requiring employees to encompass a combination of analytical, technological and soft-skill strengths to be successful in nearly every position. While an employee may have outstanding IT skills, an inability to manage interpersonal relationships will usually overshadow any technical capabilities. A salesperson who’s fantastic at customer interactions won’t be valuable to a company if he or she isn’t fully proficient with automation tools and CRM software. The more skills each employee needs to possess, the harder it becomes for companies to find suitable candidates to fill their vacant positions. Consumers’ expectations are driving an increased need for customer service, focused on delivering exceptional experiences. Evolving technology demands that employees constantly develop new skills and knowledge to remain competitive. As a result, skilled workers are in demand in today’s market, and they know it. The desperate need for their skills has allowed them to stray away from traditional full-time occupations in favor of schedules that are more suitable to their individual lifestyles. In many ways, this mindset is what brought about the gig economy, and the skilled labor force is quickly following suit. Which industries face the biggest challenge? A growing number of employers are already feeling the effects of the talent gap, but it has potential to become much more widespread. According to recent research, the global talent shortage could climb to 85.2 million people by 2030, putting the U.S. at risk of losing up to $435.69 billion. LinkedIn reports that industries requiring a high-volume of skilled workers will struggle the most to hire and retain qualified talent in the coming years. How are companies adjusting their workforce? Talent management is being redefined at a revolutionary pace. Companies are rethinking the composition of their workforces, turning to contingent labor to fill the talent gaps. To attract and retain permanent skilled talent, organizations are getting creative. From robust compensation and benefits packages, to employer-funded education and training opportunities, companies are committed to investing in their future workforce. Looking for ways to address the workforce talent gap? Explore Atrium’s 3 proactive steps employers can take to address the skills shortage. As the founder of Atrium, Rebecca Cenni-Leventhal continues to strengthen the human value in work culture. Since initially disrupting the staffing industry in 1995, Atrium has evolved into a complete talent solutions company, sustaining its entrepreneurial edge through innovative workforce design, strategic program management, process development and HR technology. True to her founding principles, Rebecca remains committed to a people-focused philosophy. She understands the importance of collaborative partnerships and has made listening, valuing and respecting the core values of her organization. Being a woman-owned business opens doors for Atrium, but consistently delivering excellence is what sets the company apart.